"WOW! Well Done - I could not put it down." From hoverflies to solid-state star drives, author and inventor Steven M. Hampton discusses gravity and the nature of inertial flight. 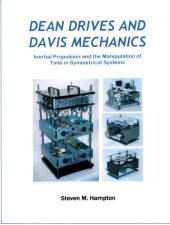 He describes how Dean Drives lay waste to the basic notion of simultaneity in Newton's Third Law of Motion and why inertial propulsion does not violate the Conservation laws. 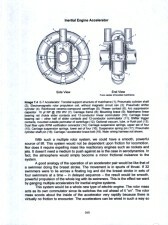 Invented by Norman L. Dean in 1958 and proven mathematically viable by William O. Davis, Ph.D. in 1962, inertial propulsion (IP - also known as Impulse Drive, Inertial Engines, Inertial Drive and Centrifugal Force Engines) has now become a force to be reckoned with: Physicists can no longer turn their backs. Hampton exposes the principles that make an eccentric Dean rotor propel its frame. Based on the Dean Drive - but not exclusive thereof - Hampton's latest invention the Reciprocating Impulse Drive (RID), loses over 70% its weight while running on a floor scale. It also aggressively tilts a heavy balance beam against its own weight and holds its position. It can deflect itself from zenith hanging as a pendulum. His earlier prototypes not only led up to this powerful machine, but created the foundation for a hovercraft inertial engine design (complete with patent drawings) that could revolutionize transportation as we know it. Find out why it's not just motion that governs this new physics, it's time. By isolating inertial frames, we can change time within parts of a cycle - in ANY cycle - opening vast avenues of research into multi-dimensional technologies. 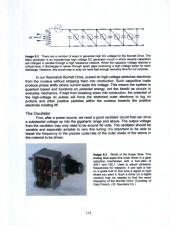 Finally, Hampton describes in great detail a theoretical model for a "Free Energy" machine as well as a solid-state drive wafer (the Burnett Drive) both based on Dr. Davis's mechanics. 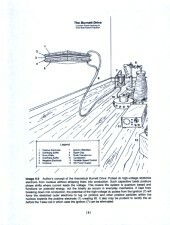 A copy of Dean's two famous patents are included as two additional PDF files for easy reference. This book is an intellectual adventure with startling surprises. 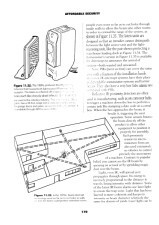 PDF formatted 8 1/2 x 11 to 201 pp. with 53 color photos, 80 detailed illus. © Steven M. Hampton ISBN 518 373. Note: PDFs must be ordered separately or shipping and handling charges may be attached. Don’t waste time, money applying for patent! Make money NOW. Market invention yourself! 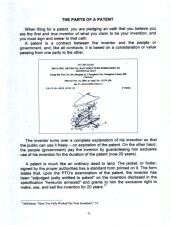 $5 gets Patent Secrets PDF includes legal forms. How do I get a patent for my Invention, idea or product? Can you patent your invention, idea or product yourself? Where do I get a patent application form? How much does a patent costs? Who will buy my invention, idea or product? How do I license my invention? How do I sell my invention, idea or product? What is a patent pending? 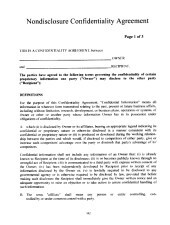 Do I need a patent agent or attorney? Do I even need a patent? Can I sell my invention, idea or product without a patent? Find the answers and more in this ebook! Read this book first. Before seeking out a patent or trade mark lawyer read this book. Tons of GOOD information and plenty of common sense. I've given this books as gifts to people I know that ask me how I "did it". □ A patent costs thousands of dollars in legal and filing fees with the patent attorney - and may offer precious little law protection from a practical point of view. □ While a patent may look prestigious on paper, it is no guarantee of wealth for the inventor. □ You can protect your invention yourself for as little as $25 - and invest your time, money, and effort in developing your idea and getting it into the hands of the public - and money in your pocket. This book, written by two successful inventors who speak from experience, will explain the three major avenues available to you when it comes to protecting your invention - including the advantages and disadvantages of each. You'll also learn how to work out the kinks in your idea before you get the ball rolling, the three questions you must ask yourself to determine whether your idea will fly, how to apply for grant money that will help to finance the development of your invention, the important criteria that will determine the marketability of your product, and the three critical rules of thumb you must adhere to before you can even consider pursuing a patent. In addition to providing a detailed roadmap of the patent process, the authors explain the perils and pitfalls of seeking investors and licensing your product to a second or third party. Finally for those willing to take this first step and strike out on their own, the authors discuss the ins and outs of becoming an entrepreneur - and show you how it's possible to make millions in today's market by working only a few hours a day - without even leaving home! "Forget Patent Office! How to market your invention no attorney, patent search. 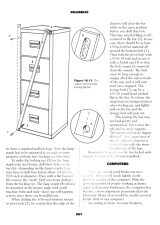 Patent it yourself!" This rare, out-of-print book was first published by Paladin Press in 2000*. Surviving original copies in new condition are now selling for $155 plus on Amazon. 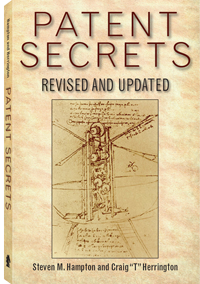 However, this Patent Secrets updated second edition is available as e-book. Learn the latest about patent pending law, application fees, file search costs and marketing your invention. 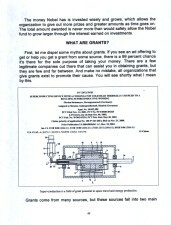 This ebook also includes valuable ready-to-print contract forms: Non-Disclosure, Partnership, Distributorship, Licensing Agreement, and Trademark License Agreement, (all comprehensively legal boilerplates); also sample Patent Application, PPA, and DOD mailing list request form along with government websites and phone numbers needed to get you on your way to financial freedom. This e-book edition - unlike the original - is loaded with over 100 of the latest, most interesting and note-worthy sample patents. OUT OF PRINT - GET YOUR COLLECTABLE HARD COPY NOW! 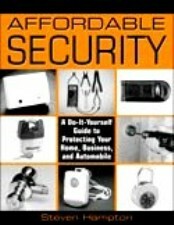 In this complete, hands-on guide, security expert Steven Hampton, author of Modern High-Security Locks, tells you everything you need to know to secure your home, business, car, and more - without breaking the bank! Affordable Security offers all the tips and insider advice of the top-notch security seminars at a fraction of the cost, from basic, practical, low-tech security measures that have withstood the test of time to sophisticated commercial perimeter alarm systems and motion detectors. 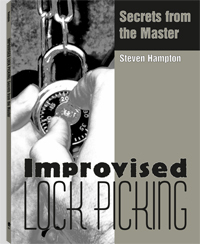 Steven Hampton became interested in locks and electronics at an early age. At 14 he acquired a set of U.S. Air Force electronic training manuals and began building various transistor circuits by scalping radios and junkyard TVs. At 17 he was making his own lockpicks and was considered a master lockpicker, and by the time he was 18 he'd invented the magnetic padlock, which was stolen and is still on the market today. After a stint in the navy, he studied digital electronics and worked in many technical fields. He also became interested in the martial arts, studying Tibetan White Crane kung fu, jujitsu and wing chung. This advanced manual brings locksmithing into the electronic age, with schematic diagrams for portable electronic picks to open magnetic key and card locks plus templates for making custom tools not available on the commercial market. Tips on enhancing finger sensitivity, increasing concentration power, constructing practice lock boxes and more will help you master the art and science of lock picking. For information purposes only. 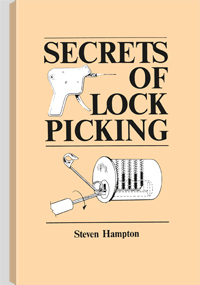 Master locksmith Steven Hampton, author of the best-selling Secrets of Lock Picking, takes the art of picking locks one step further with Modern High-Security Locks. Here, he collects some of today's most popular pick-resistant locks and sets out to see which ones hold up to their claims. However complex a lock gets, it must be durable, dependable and user-friendly. It has to be tough enough to endure physical attack, but it can't be machined too tight or it will jam up with just a breath of dust. It must be simple and easy to lock and unlock with its key, or the customer will not pay the higher price for it. It is this delicate balance between security and utility that allows the locksmith to open this new generation of locks. Hampton shows locksmiths how each lock is picked and how long it will take. He details the tools of the trade and includes patterns and instructions for making your own picks and tension wrenches. He even includes ancient Tibetan Buddhist tantric visualization exercises to help locksmiths learn to "see" the inner workings of the lock within the mind's eye. 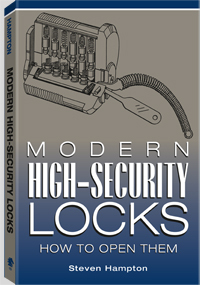 Veteran locksmiths or those new to the trade will find Hampton's latest book an invaluable sourcebook. For academic study only. 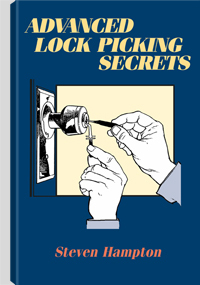 "THE Handbook for PIs and Spies"
Master locksmith Steven Hampton has more than 40 years of experience in designing different ways to open locks without keys and has personally taught dozens of today's most talented locksmiths. In Improvised Lock Picking, Hampton reveals little-known secrets for devising quick and easy lock-picking tools on the spot, using common household items found in the average home, office or garage. Through photos and detailed exploded drawings, you'll see how these improvised tools can be used to open a wide variety of locks found all over the world. 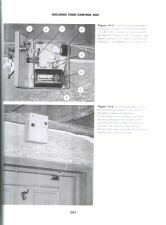 You'll also find out how to get inside a front door with a safety pin, open magnetic card readers, defeat the extremely difficult Master combination padlock and much more. The key to never being locked out of anywhere is knowing how to instantly improvise the right tool for the right lock. This book will show you how. For academic study only.